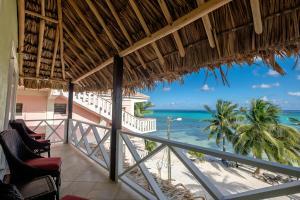 ﻿ Book Tres Cocos Resort (San Pedro) - 2019 PRICES FROM $203! Tres Cocos Resort in San Pedro features an outdoor swimming pool and a garden. All rooms feature a kitchen, a flat-screen TV with cable channels, and a private bathroom. Guests can dine in the restaurant or a drink at the bar and free WiFi is available. At the hotel, rooms are equipped with a patio. All guest rooms will provide guests with a fridge.